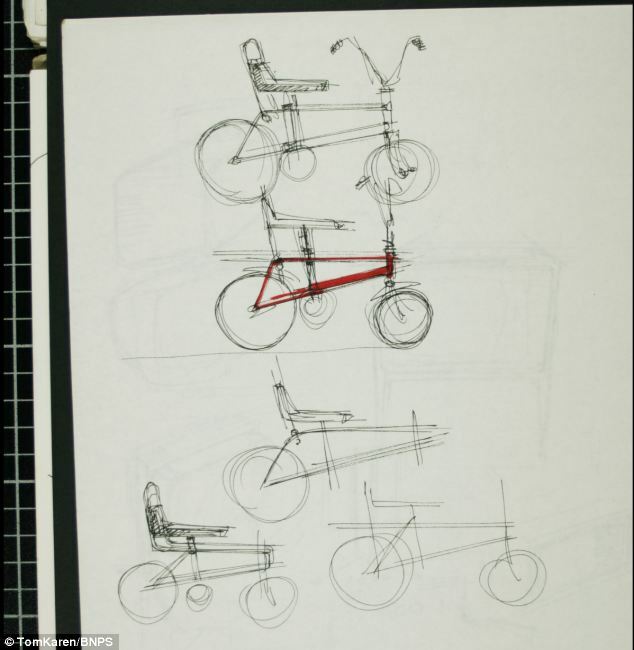 Sketches of the first Raleigh Chopper! It was the defining Icon of the 1970’s: The original designs for the Raleigh Chopper have come to light 45 years after the bicycle was first made. 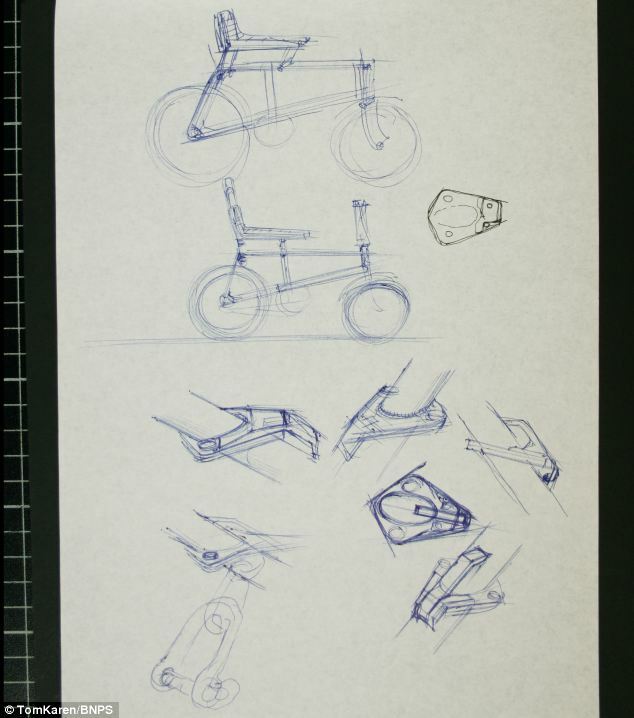 The scribbled sketches were just basic outlines but they clearly show its most famous features – large U-shaped handlebars and large rear wheel and long leather seat. 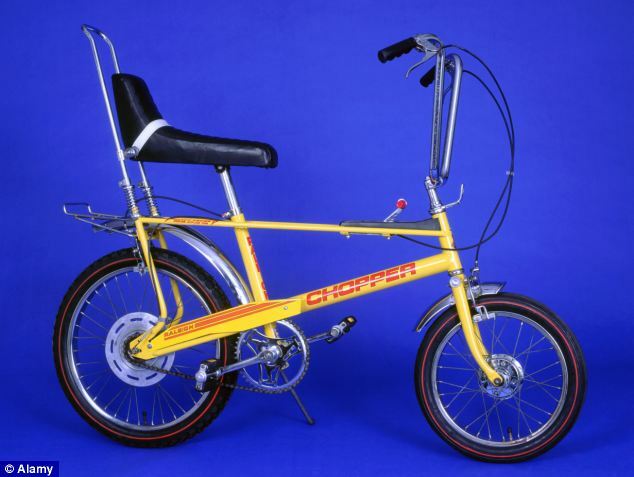 The chopper was based on dragster cars and bikes of the 1960’s and was a signifier of a child’s coolness in the 1970’s. Raleigh started production of the first Chopper in 1969 which featured a gear hub selected using a frame-mounted lever. It had an unusually-shaped frame, high back seat and ape hanger Handlebars as well as differently sized wheels which were 16 inches (41cm) at the front and 20 inches (51cm) at the back. They were drawn by inventor Tom Karen and evolved into formal designs for Raleigh, which produced the first Mark I Choppers in 1969. The bikes, which emulated dragsters, soon became the must-have toy for children across Britain and more than 1.5 million of them were made until production ceased in 1979. A lighter Mk3 Chopper was launched in 2004 made of aluminium with various safety features. Mr. Karen, 87 has kept the two pages of original drawings, which he took with him when he retired from Ogle Design, the consultancy firm used by Raleigh, in 1999. Since then his sketch books have been left gathering dust in the garage of his home in Cambridge, but the grandfather recently rediscovered them. He was managing director of the company between 1962 and 1999, and in 1968 his company was approached by British firm Raleigh Bicycles to help them come up with a design to rival one of the leading bikes on the market made by Schwinn. Mr Karen took inspiration from the dragster cars which have two large wheels at the back and sketched a picture in a matter of minutes that went on to became the Chopper. However, Raleigh’s head of design Alan Oakley claimed to have drawn the very first design for the Chopper on the back of an envelope in 1967. He saw teenagers in California customising push bikes to look like dragster motorcycles used by the Hell’s Angels by adopting ‘ape hanger’ handlebars and other features. Raleigh wanted to reach the teenager market but to have a different flavor, so Tom Karen decided there and then that it must have a big wheel at the back and a small one at the front. The reason for that was because dragster cars had big wheels at the back where the power was, and he wanted it to have that feel. The chopper bike had similar handlebars to the Schwinn. There was a concern that the saddle was too similar to the Schwinn so they redesigned it and put springs underneath it. After making some adjustments they then delivered the final designs to Raleigh and it became a considerable success. Raleigh made two versions of the bike – the Mark I from 1969 to 1972 and then the Mark II from 1972 to 1979. They also produced a number of limited edition bikes.